Donald Trump's 2020 campaign and the Republican National Committee are asking Facebook and Twitter for assurances that they will safeguard access to "fair content" and guarantee that conservative voices are not censored or buried. 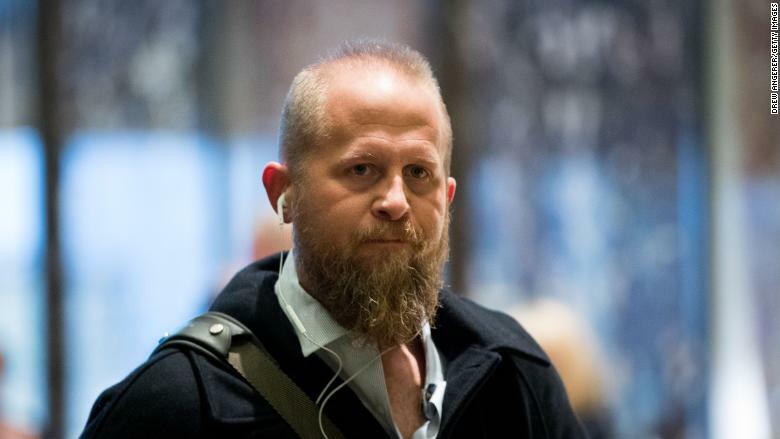 Trump's 2020 Campaign Manager Brad Parscale and RNC chair Ronna McDaniel made the requests to Facebook and Twitter in a letter sent Thursday, which they later posted online. Parscale and McDaniel wrote that they have grown concerned after media reports over the past few years and claims from users that Facebook staff had "manipulated" the trending section to exclude conservative news and that some conservative personalities have had their content suppressed. On Twitter, they said that conservative users have "accused the company of unfairly targeting them," by purging their accounts of followers in an attempt to fight fake news. "We recognize that Facebook and Twitter operate in liberal corporate cultures. However, rampant political bias is inappropriate for a widely used public forum," McDaniel and Parscale wrote. Accusations that social media censors conservative views has hounded the companies for years. Both Facebook and Twitter are based in the largely liberal enclaves around San Francisco, California, and their executives are often aligned with liberal causes. Last month, Facebook erroneously told pro-Trump social media stars Lynnette Hardaway and Rochelle Richardson -- known as "Diamond and Silk" -- that their content had been deemed "unsafe for the community." Facebook quickly said the message had been sent in error, and immediately sought to contact both Hardaway and Richardson. But since the incident the pair have used it to accuse the company of censorship including testifying in front of Congress that Facebook had blocked their page, though their page was never actually blocked. In their letter Thursday, McDaniel and Parscale also questioned Facebook's efforts to encourage voter registration, asking for "transparency over how Facebook determines who sees these advertisements in their news feeds" so that they don't become an "in-kind contribution to liberal candidates." "How will you safeguard voters' access to fair content on your platform? How will you guarantee that conservative voices are no longer censored, and conservative news no longer buried or otherwise hidden?" McDaniel and Parscale wrote. The pair asked for responses by June 18. Despite the criticisms of the companies, Parscale and the Trump campaign have a deep connection to Facebook and Twitter. Parscale, who was Trump's 2016 digital director, has directly credited Facebook and Twitter as the reason why they won - noting multiple times that Trump got his message out via Twitter and that the campaign relied heavily on Facebook for fundraising and micro-targeting campaign ads. Parscale even brought Facebook employees into the campaign to better take advantage of social media to promote Trump. In a statement, a Facebook spokesperson said the company does not suppress content based on political views. "Facebook is proud to be a platform for all ideas. We do not suppress content on the basis of political viewpoint or prevent people from seeing what matters most to them because doing so would be directly contrary to Facebook's mission and our business objectives," the spokesperson said. A Twitter spokesperson did not respond to a request for comment.